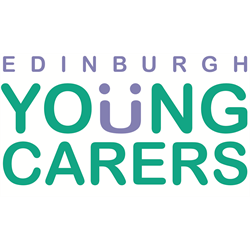 Edinburgh Young Carers is seeking a suitably experienced and qualified applicant to join its Drug and Alcohol Project in developing and providing high quality support to young carers in Edinburgh between the ages of 5 and 20 years, who care for someone with problematic drug and/or alcohol use. The post-holder will work alongside colleagues to increase the Project’s effectiveness, identify hidden young carers, develop and provide support and increase our knowledge and understanding of the needs of young carers who are caring for someone with problematic drug and/or alcohol use. The candidate will need to be suitably qualified and experienced in working with children and young people and in working in the context of drug and alcohol difficulties. An exciting opportunity has arisen for a Young Adult Carer Transitions Worker to join our small dedicated team, working with children and young people who have caring responsibilities in Fife. We are looking for a creative and energetic individual, with experience of working with vulnerable young people aged 16 – 25 years. The post holder will be responsible for the provision of one to one and group support in Fife, aimed at reducing the impact of caring and improving transition into adulthood. The position is subject to an enhanced disclosure check. 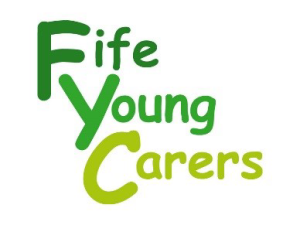 Fife Young Carers is a highly regarded charitable organisation based in Lochgelly which provides Fife wide support to children and young adults who care for members of their family who are affected by illness or disability. We require a Befriending Coordinator to market and deliver an exciting new project. You will be responsible for providing a befriending service to Young Carers who are socially isolated and for recruiting and supporting a network of volunteer befrienders. You must be enthusiastic, have a flexible and creative approach to problem-solving, be computer literate, an effective networker, self-starter and proven team player. Experience of training volunteers and supporting young people in the above context would be an advantage. 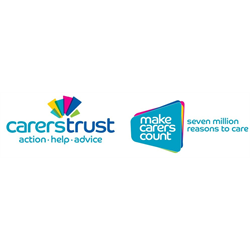 Carers Trust Scotland is part of Carers Trust, a major charity for, with and about carers. We work to improve support, services and recognition for anyone living with the challenges of caring, unpaid, for a family member or friend who is ill, frail, disabled or has mental health or addiction problems. With locally based Network Partners we are able to support carers in the community with information, advice, emotional support, hands on practical help and access to much needed breaks. We offer specialist services for carers of people of all ages and conditions and a range of individually tailored support and group activities. We are currently looking for an Education Officer (Primary and Secondary, Scotland). Be part of the Scotland team. representing and speaking on behalf of a national organisation. This is a great opportunity for someone interested in joining a vibrant organisation and very successful team. A full Job Description is available for download below. 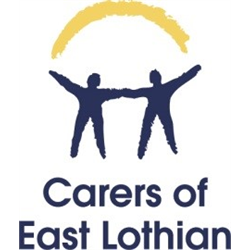 Carers of East Lothian is the leading local support organisation for people who are looking after friends or family who are frail, disabled or who have chronic health problems. We have an excellent reputation and are now looking to recruit a new Carer Support Worker to join our committed team. You should have a good understanding of health and social care issues and services, experience of providing person centred support and a real commitment to supporting carers to achieve the outcomes they prioritise. You must have excellent interpersonal and communication skills, be comfortable in the use of IT and have the ability to organise and manage a complex caseload. In return we offer a good salary, very flexible working arrangements and a chance to make a real difference to peoples’ lives. PVG scheme membership is essential as is the ability to drive and access to a car. The post will initially be based in Musselburgh but we are moving to offices in the new Community Hospital in Haddington around Sept of this year. Carers of East Lothian is striving to be an equal opportunities employer and we welcome applications from all sections of the community.